Space, the final frontier was explored by Captain Kirk in Star Trek. 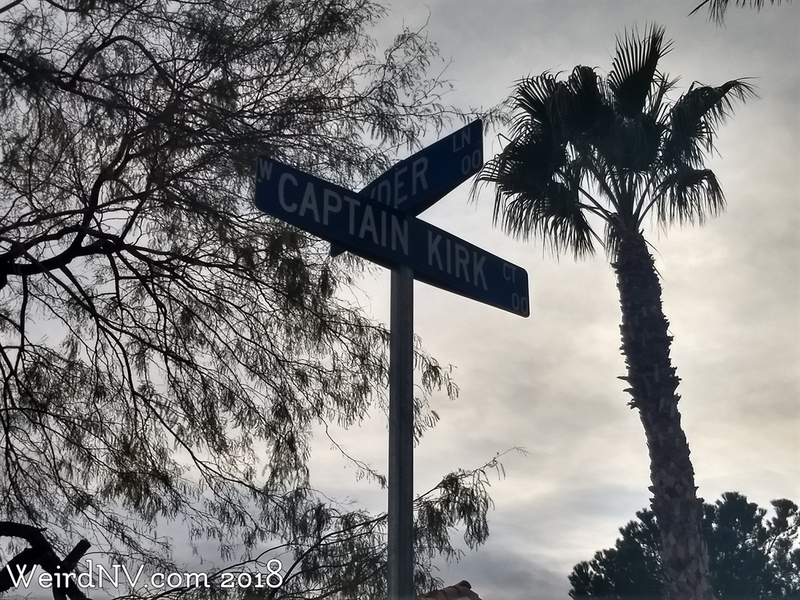 And for some reason, North Las Vegas has a street named Captain Kirk Court. It's not very long, just a small cul-de-sac, and there's nothing Star Trek themed about it, nor even anything sci-fi about it. I'm not sure how long it's been there, but at least since 2005, probably much longer. 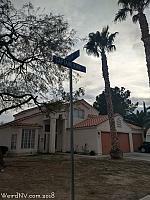 Las Vegas has several other celebrity street signs ranging from Dean Martin Drive, Sammy Davis Junior Drive, Ray Charles Lane, Chevy Chase Avenue, Astaire Drive, Tupac Lane, and Bogart Court, just to name some, but Captain Kirk Court appears to be the only one named after a Star Trek character. 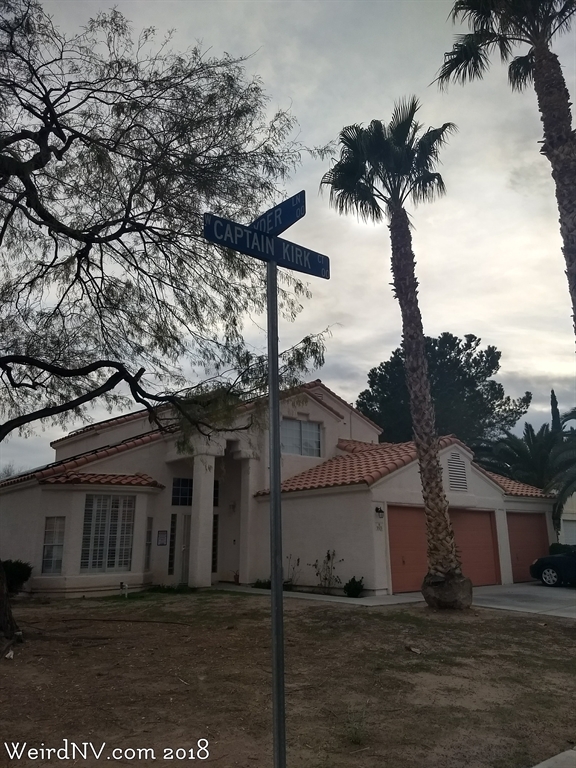 Some street names from other sources include Blazing Saddle Avenue, Moon River Street, and Moonstruck Avenue. My favorite celebrity street sign would probably be the intersection of Neil Armstrong Circle and Astronaut Avenue, just because that's a very nice pairing. There's also the intersection of Marilyn Monroe Avenue and Cary Grant Street. So for the Trekkers out there, put on your favorite Star Trek outfit and pose in front of the street sign on Captain Kirk Court. And if you're looking for more Star Trek signs, Sacramento has the intersection of Romulan Court and Klingon Court.